This tale about the AMCAT Test begins from the deep end. "I had kind of lost my hope over getting a job." Read how he found his fresher job in Jaipur. 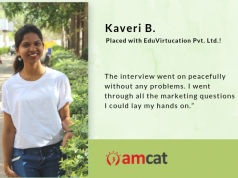 An entrepreneurial mindset can take you places, shares AMCAT Test achiever. Avid about developing apps, playing cricket and travelling, Vikash is a 2017 graduate from the Arya Institute of Engineering and Technology in Kukas, Gujarat. 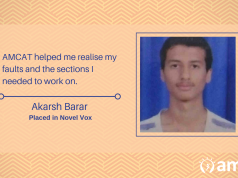 And this is his tale of finding an opportunity amid fresher jobs in Jaipur that could fit in with his aspirations. Coming from the disappointment he had initially faced his job search, Gupta had this to say about the test. “I think there is a huge gap between the college and corporate life. Therefore, most of the students fail to get a job with their desired companies”, he said. “I got my first interview call after a month. I got five interview calls.” The call that mattered, however, was the one with Habile Labs, for a software developer role. I found that hiring for entry-level positions, companies seek for communication skills, teamwork and a positive attitude. These skills demonstrate how well an applicant will fit into the corporate culture, and give an indication of how long a new hire will stay in the company. 2. Search using every resource possible. A lot of students and young professionals think that social networking via Facebook, LinkedIn, and the like is the best route to finding a job. 3. Focus on the jobs you’re most passionate about. 4. Prepare yourself for the interviews. This is a standard advice for job applicants, but too often new grads don’t bother to prepare—and 42% of employers say they are turned off by how unprepared students are in interviews. 5. 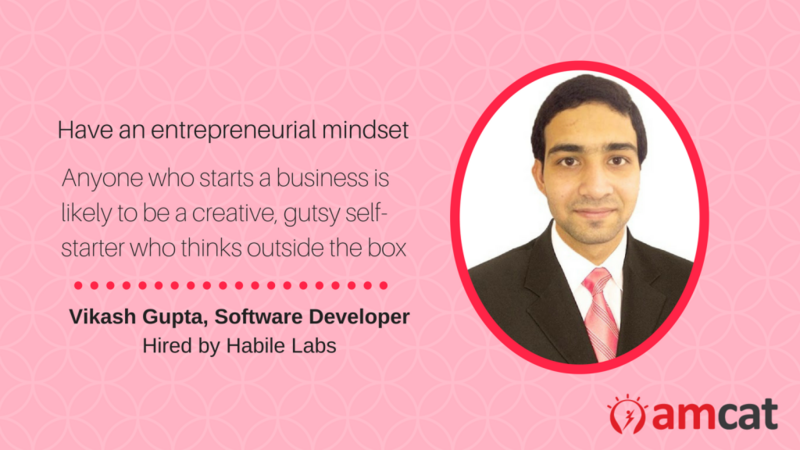 Have an entrepreneurial mindset. I spoke to two executives the other day and I asked, “Who would you rather hire: a recent graduate that started a business or one that had five internships?” They both chose the entrepreneurial graduate because anyone who starts a business is likely to be a creative, gutsy self-starter who thinks outside the box. Thank you AMCAT for being with me for the whole time. 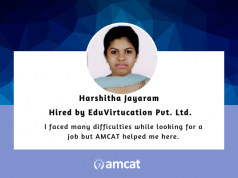 Wish to read about more candidate experiences with the AMCAT Test, or learn from their journeys. Consider a brush with our section called achiever’s diaries. Or decide to take one yourself, with the AMCAT Test.